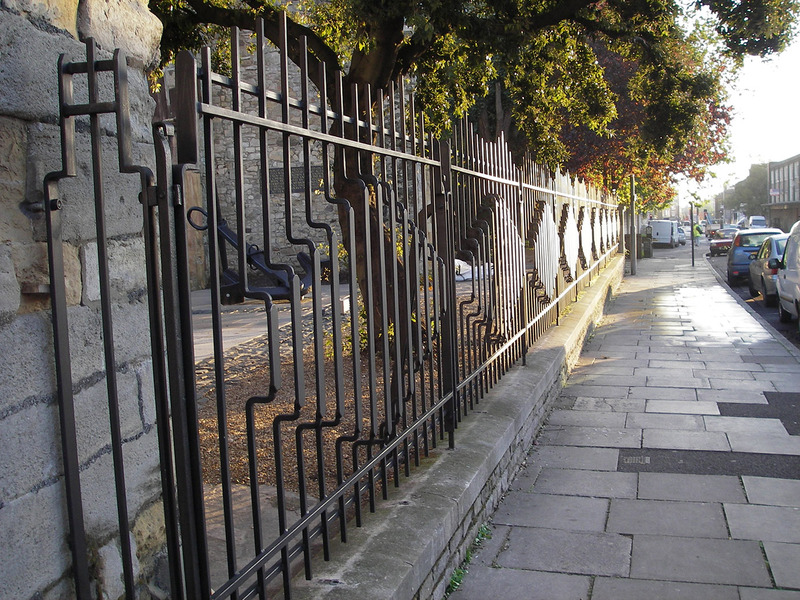 Thirty-five metres of mild steel railing to secure the site of Holyrood Church, High Street, Southampton which is now a national Mariners’ Memorial. 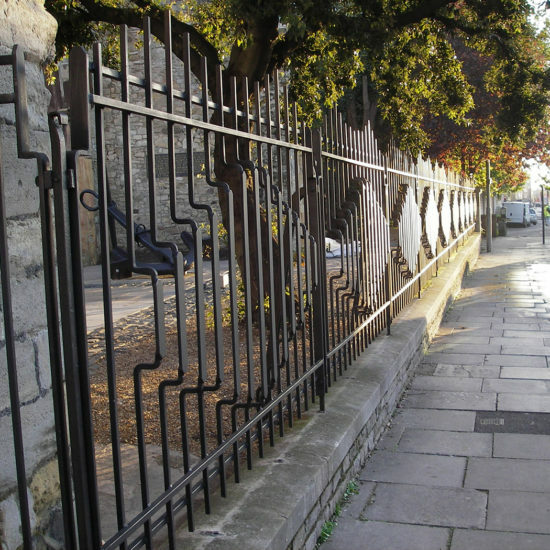 The railing is one of four major commissions we undertook within the site: the Chancel Screen with integral gate, the Titanic Memorial Screens with integral gate and the refurbishment of a large Napoleonic anchor. 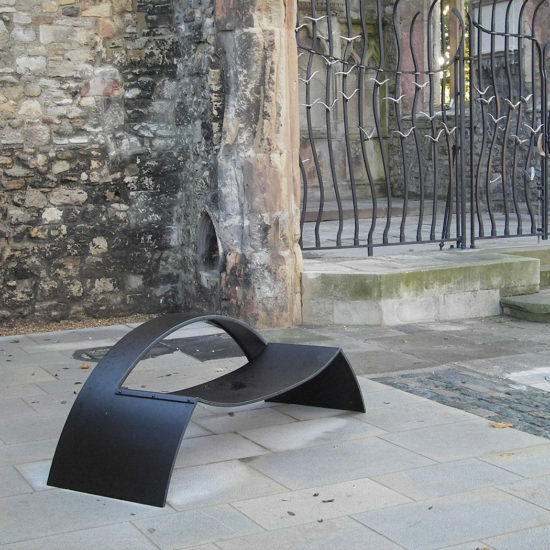 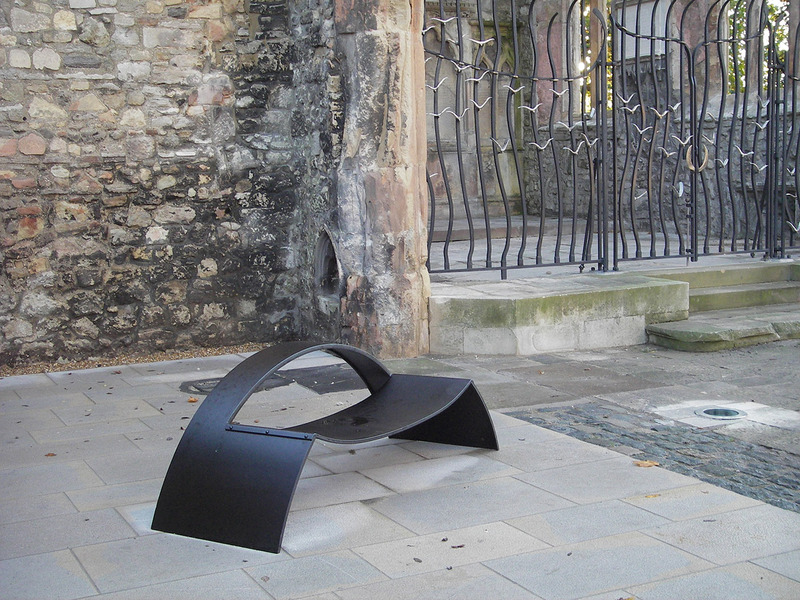 We also donated a seat for the site called Perch in beloved memory of Trinity House Pilot A.D. Howe.